If you have been following along with my 4 Simple Steps to Garage Organization, you have reached the final step of your project. And this will be, by far, the most rewarding and creative step of the process. Let the fun begin! I want to be able to __________ in my garage. I want to be able to store __________ in my garage. Next, you cleared out the old, broken, and obsolete items in your garage, making space for the things in your garage that are truly useful and relevant to your life today. Now is the time to figure out HOW and WHERE to store each section or zone that you will be keeping in your garage. Have a Home – Everything being stored and used in your garage should have a home – a place it belongs, fits, and can be put away (easily!) when not in use. Store at It’s Point of Use – Items should be stored where they will be used, and items that are used most often should be easiest to get to. Like With Like – Make it easy on your memory, and store all items related to each category or zone together. Make Conscious Trade-offs – In general, the more stuff you have the less room and the less time you have, while the less stuff you have, the more room and time you have. So, ask yourself, “Do I want more time and room or do I want more stuff?” Then, act accordingly! Look Up!! Generally your off-season items will be taken out at the beginning of the season, and returned months later. These items may include your lawn chairs, coolers, and outdoor activities, along with your Christmas and Holiday items, sleds and snow shovels. Take advantage of the unused space above, within your garage. Consider space near the garage doors, closest to the outdoors, where these items will be used. Again, look up! 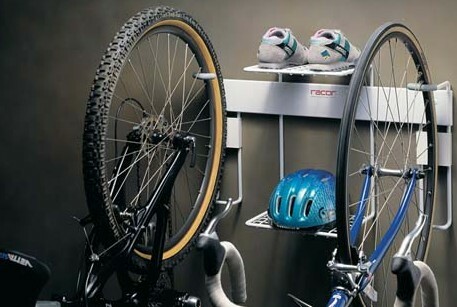 Utilize the available wall space, creating zones for sports equipments and bikes. These are just a few examples of the many creative and efficient organizing tools available on the market today to help you get your garage In Order for Life. Take a trip to your local home improvement store or simply take a trip on the internet and find solutions that match your needs. 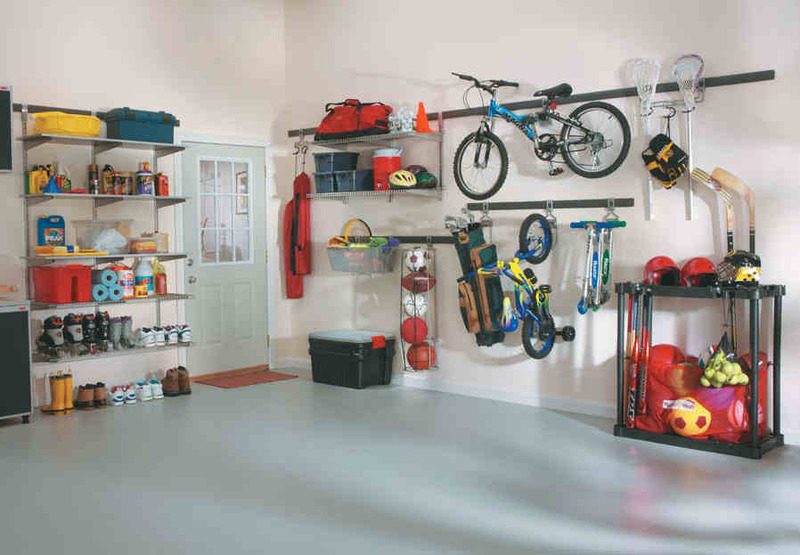 Then, move section by section, around your garage, as you reorganize your space.